If you are a business owner and want to learn how to make your web site pay it's own way then you should buy this e-book now. As one of central Victoria's largest web hosting business', one question we are all-too-often asked is how to generate income from a web site. we usually proffer a few ideas and leave it at that but now we have produced an e-book that covers that exact question. The image shown to the right shows the monthly income that our web site has generated this year alone, and it is 100% genuine. We can also say it's a lot more fun shelling out the cost for our own web site now that it actually makes money. 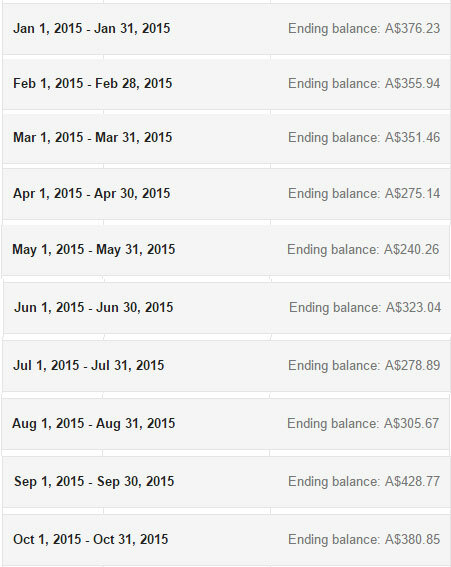 This screen shot simply shows what Google paid us. Not one cent of the earnings shown there has come from e-book sales. 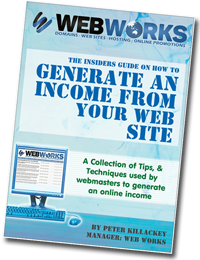 There are other ways to generate web site income that we explain to you in the e-book. In the e-book we explain in detail the steps that we took to generate the income from our web site, that every business owner can also take to generate an income from their own web site. This is not a get rich quick scheme, but it's a step by step guide on how to make your web site generate more cash than it costs you. The proven techniques that we present are 100% legal, in fact it's simply a no nonsense guide to the proper way to do things. There are no underhanded or immoral methods involved, no spamming involved and we do include full instructions and links to help you get the cash flowing fast. By following the easy instructions in the e-book, instead of paying a yearly fee to keep your web site up and running you could be receiving cash in the bank every single month. The good news is that this e-book will cost you just $10.00, a small investment that could easily generate hundreds, if not thousands of dollars every year. Once purchase has been made, click on return to Web Works to download the e-book straight away.